The mayhem during the Jat agitation last year in Haryana, in which about 30 lives were lost in attacks or in police firing, is still fresh in public memory. The Jats are on the warpath again. They have been agitating for a month and are planning to march to Delhi later in March. But their demand for reservations in government jobs is part of a PIL in the Punjab and Haryana High Court. A division bench comprising of Justices SS Saron and Lisa Gill, after hearing arguments of the petitioner and the state government, has reserved its judgment on the issue. The petitioner, Murari Lal Gupta, had challenged the Haryana Backward Classes (Reservation in Services and Admissions in Educational Institutions) Act, 2016. The legislation was passed by the Haryana assembly on March 29 last year in the wake of the Jat agitation. It provided for 10 percent reservations in government jobs for Class 3 and 4 posts and 6 percent reservations in Class 1 and 2 posts to Jats, Jat Sikhs, Rors, Bishnois, Tyagis and Mulla or Muslim Jats. Taking cognisance of the PIL, and some other petitions filed later on similar grounds, the High Court had stayed the operation of the new law in May last year. The petitioner had said that the Act was contrary to the basic structure of the constitution and was also against a Supreme Court judgment in 2015. He pointed out that the apex court had then held that Jats were not backward. He had also argued that the new law exceeded the reserved quota of 50 percent set by the Supreme Court in the Indira Sawhney case in 1992. Besides, the petitioner pointed out, the additional reservations had been granted on the basis of the Justice KC Gupta report which was also rejected by the Supreme Court in its 2015 judgment. 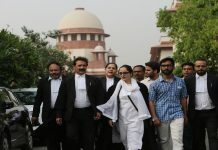 The petitioner’s counsel, Mukesh Verma, had argued that the legislative exercise of enacting Schedule-III of the 2016 Act by the state government amounted to “acting as an appellate authority over Supreme Court’s March 2015 decision by overruling the verdict given in Ram Singh’s case”. He also pointed out that since the 2015 ruling, “no new facts had emerged nor was there any change in circumstances, except occurrence of violent agitation and the threat of more violent agitation”. Interestingly, a copy of the official figures provided by the state education department was presented in the Court, which revealed that the representation of Jats in various posts varied from 30 to 56 percent. Thus they don’t need reservations, it was argued. 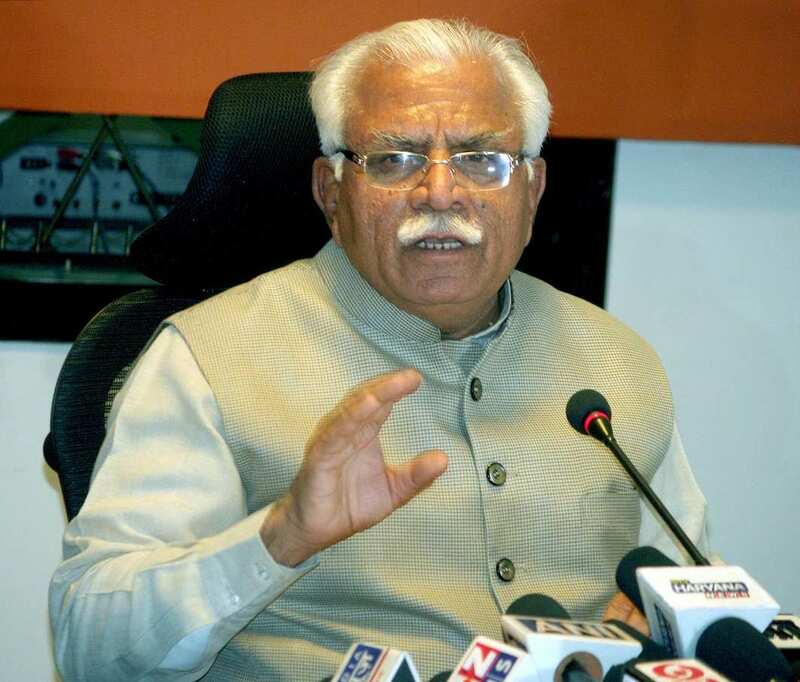 The counsel representing the Manohar Lal Khattar government, which brought in the legislation to placate Jats, took a rather technical plea that the petitioner should have challenged the new law before the Haryana Backward Classes Commission as it was enacted on its recommendations. He also argued that although the Indira Sawhney judgment provided for a ceiling of 50 percent reservations, it also provided exceptions “in public interest”. He said that several state governments like Tamil Nadu had reservations in excess of the 50 percent limit. Senior Advocate Jagdeep Dhankar, representing the Haryana government, defended the reservations which had reached 67 percent in the state. He said that the Tamil Nadu government had granted 69 percent reservations to various communities. He stressed that though Tamil Nadu’s case was pending in the Supreme Court, the Court had not granted any stay on reservations. While the ongoing agitation by Jats is to press for reservations, the focus appears to be more on seeking withdrawal of cases registered against their protestors last year. They are also demanding release of all those arrested for rioting and compensation for those killed in police firing. 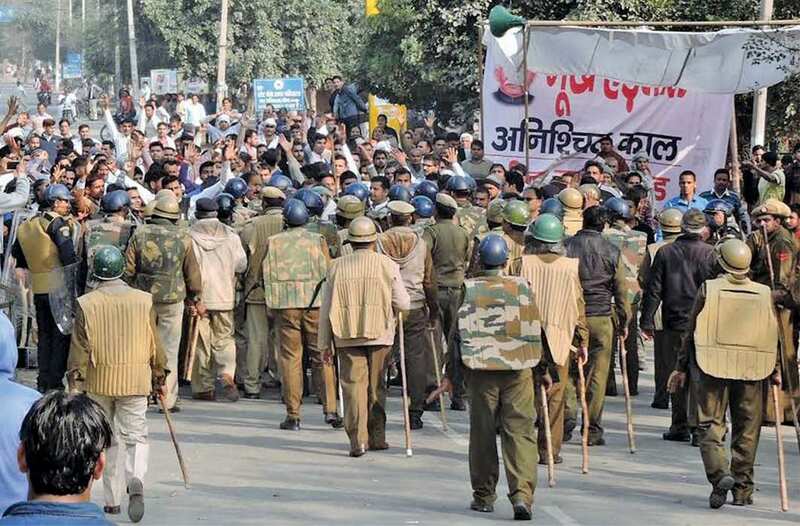 About 400 protestors were arrested and about 2,000 FIRs registered in connection with the agitation led by Yashpal Malik of the Akhil Bharatiya Jat Aarakshan Sangharsh Samiti. Subsequently, the state government had set up a fact-finding committee headed by a retired director general of police of Uttar Pradesh. The committee had indicted about 90 IAS and IPS officers for dereliction of duty. Taking lessons from last year, the Khattar government has taken a few pro-active steps to deal with the protests this year. It has formed a committee to “talk” with the protestors. 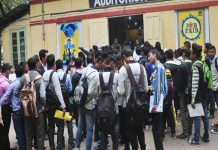 The talks have remained inconclusive due to a firm stand taken by the protestors and the delaying tactics employed by the state government to tire them out. However, given the history of the agitation and the attitude of the protestors, the situation may take an ugly turn if no progress is made and they take their agitation to Delhi.